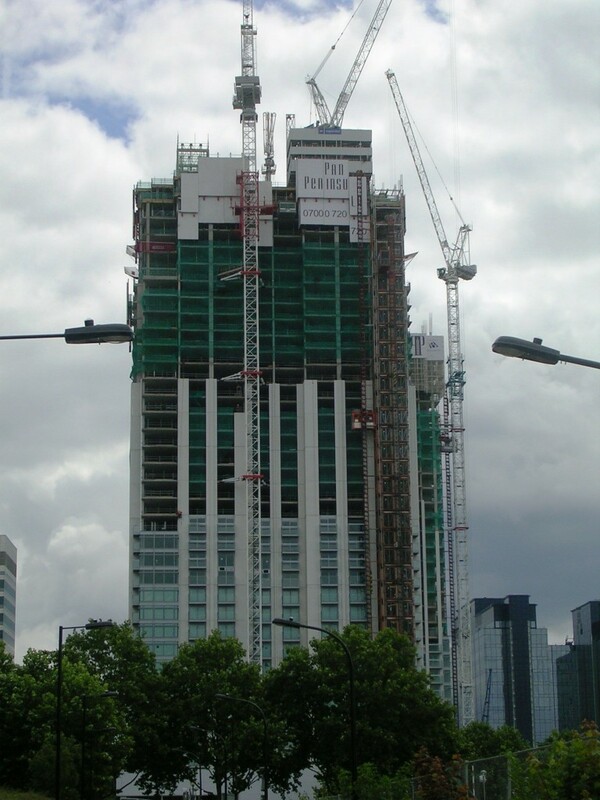 Located next to Canary Wharf in London’s docklands, Pan Peninsula sets a new standard in international high-rise luxury living. 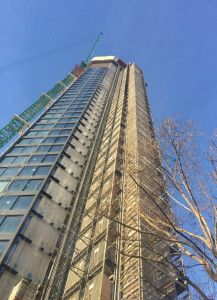 When the Ballymore scheme is complete in 2008 its 40 and 50 storey East and West Towers will be among the tallest residential buildings in Europe and will boast Manhattan style services of a private cinema, residents’ lounge, spa and signature bars. 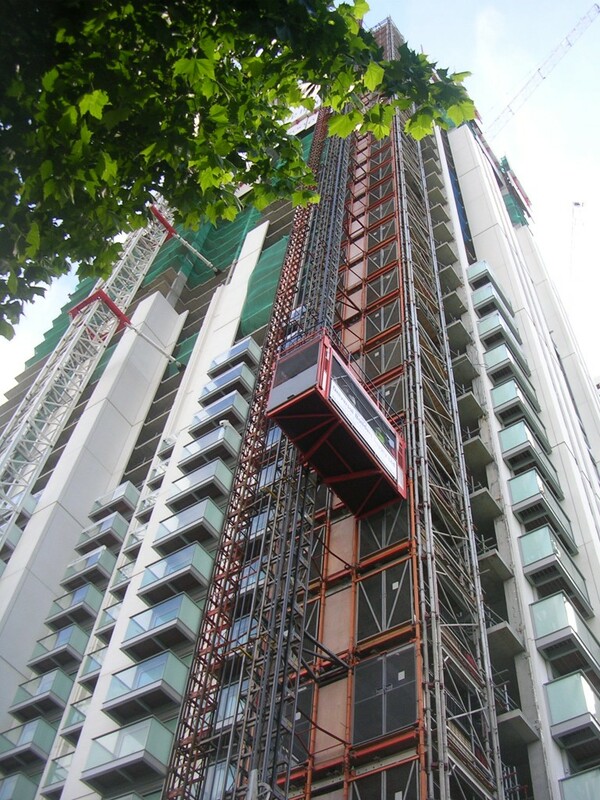 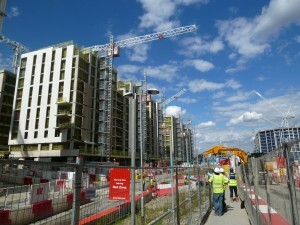 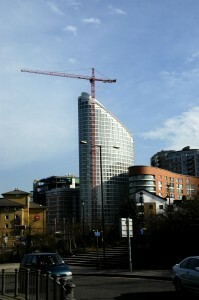 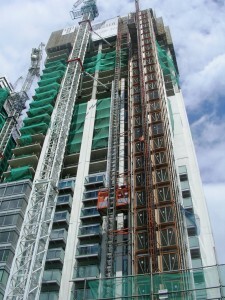 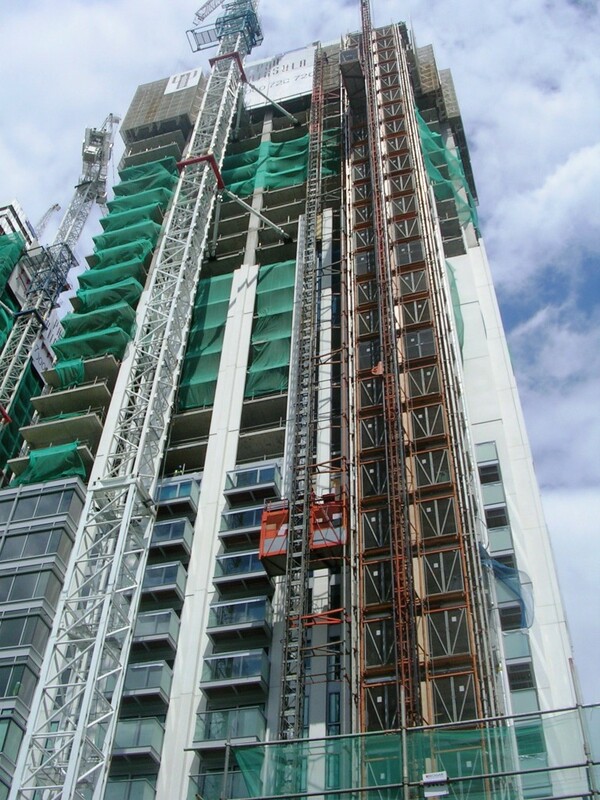 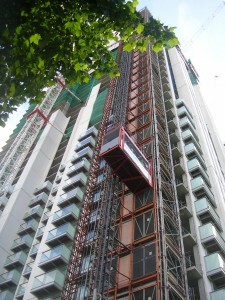 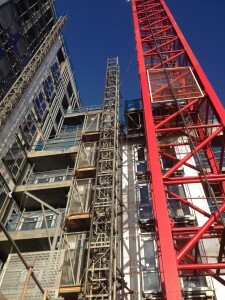 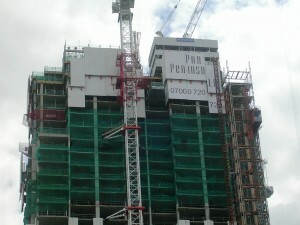 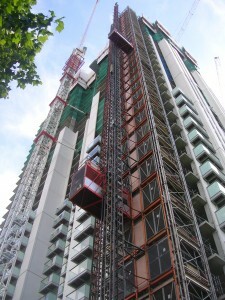 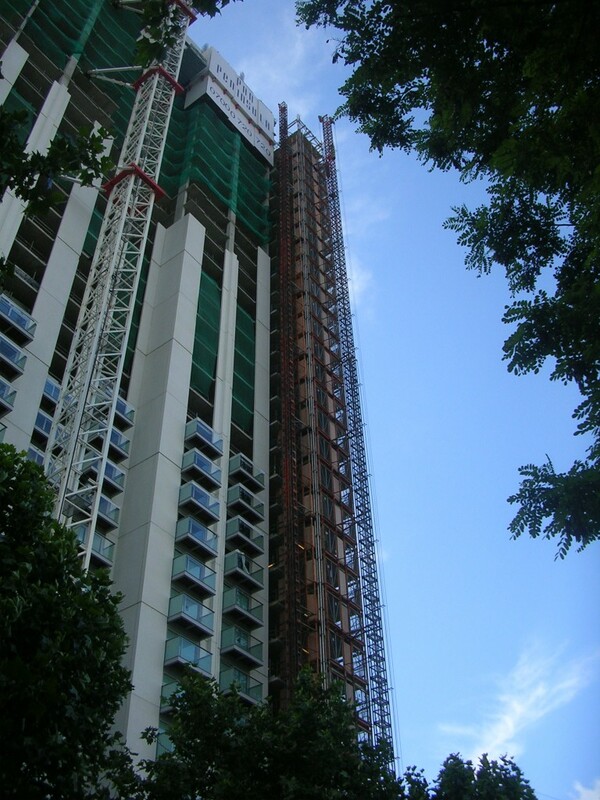 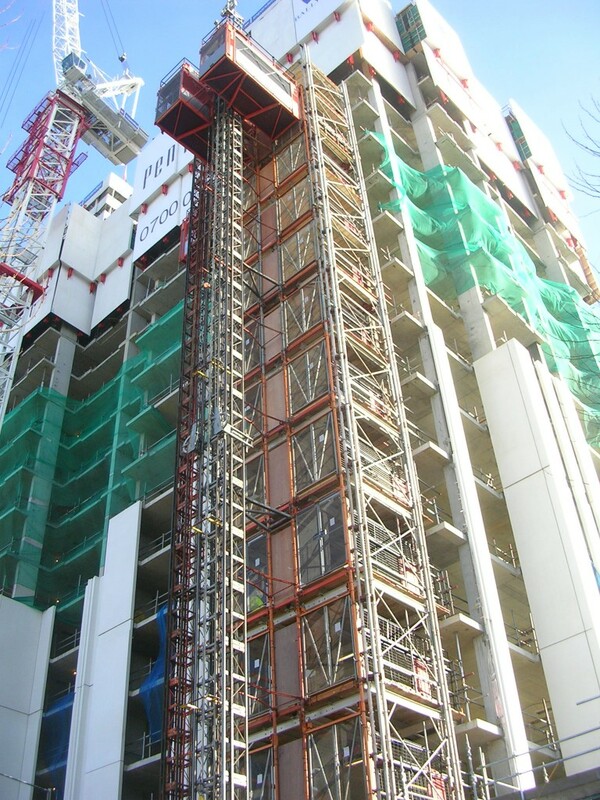 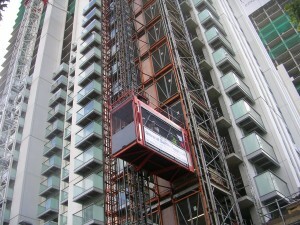 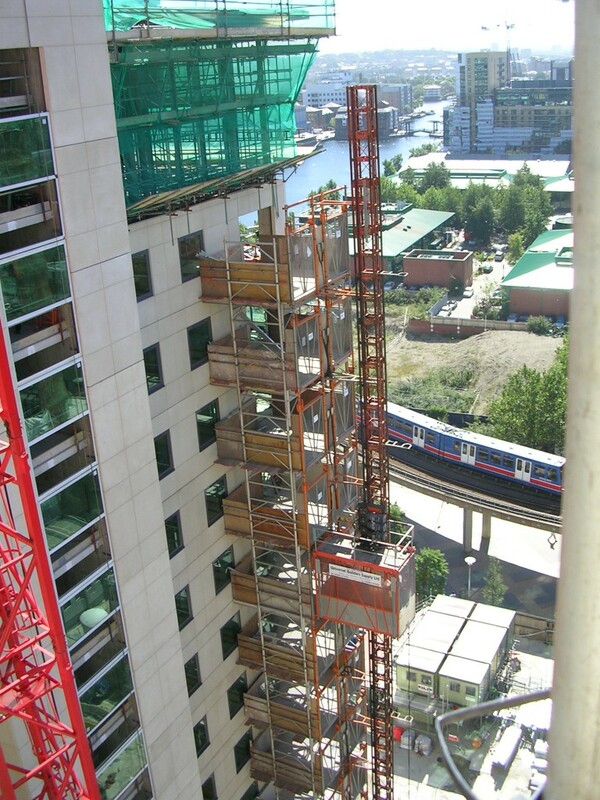 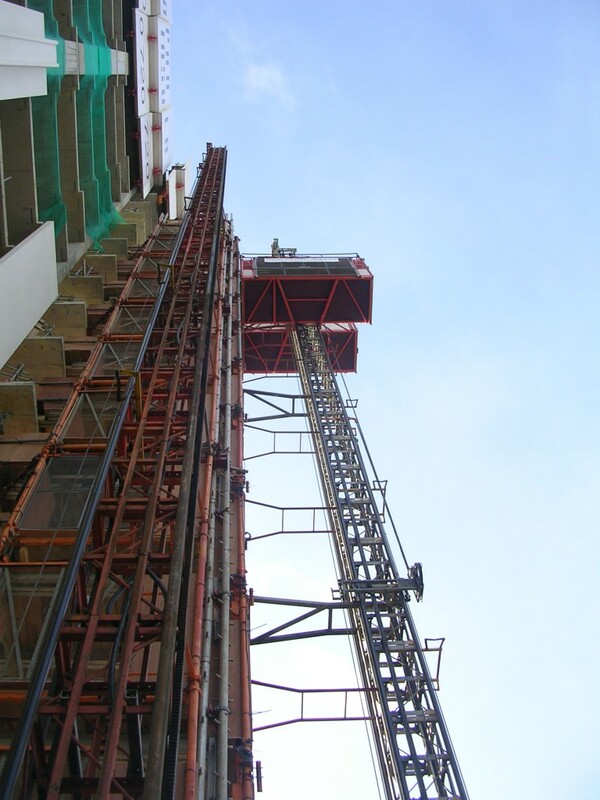 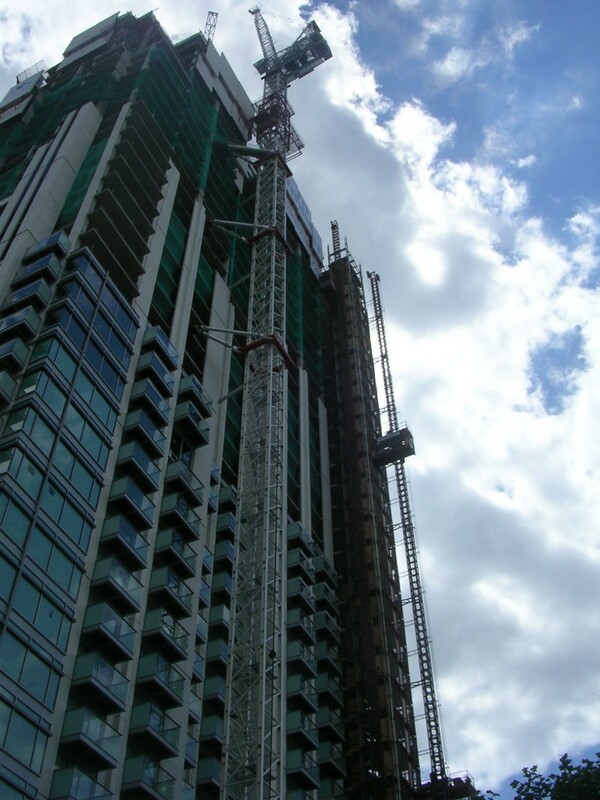 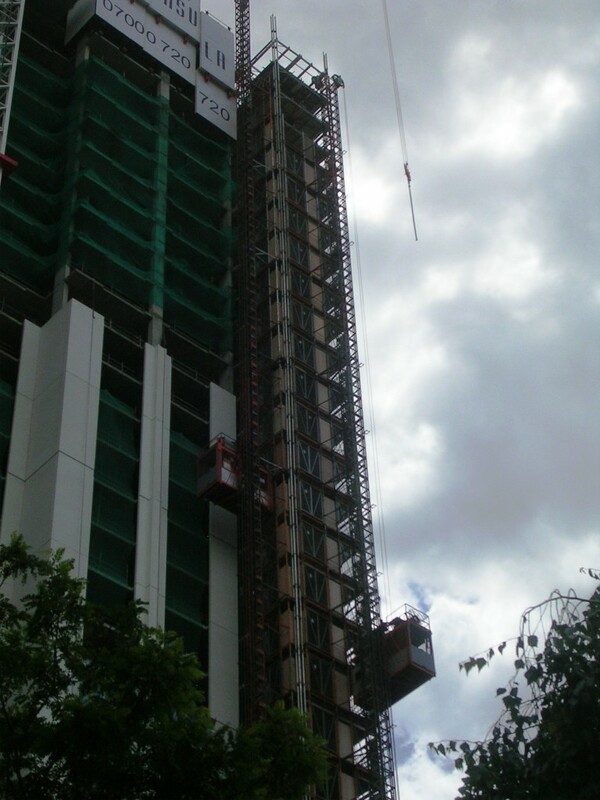 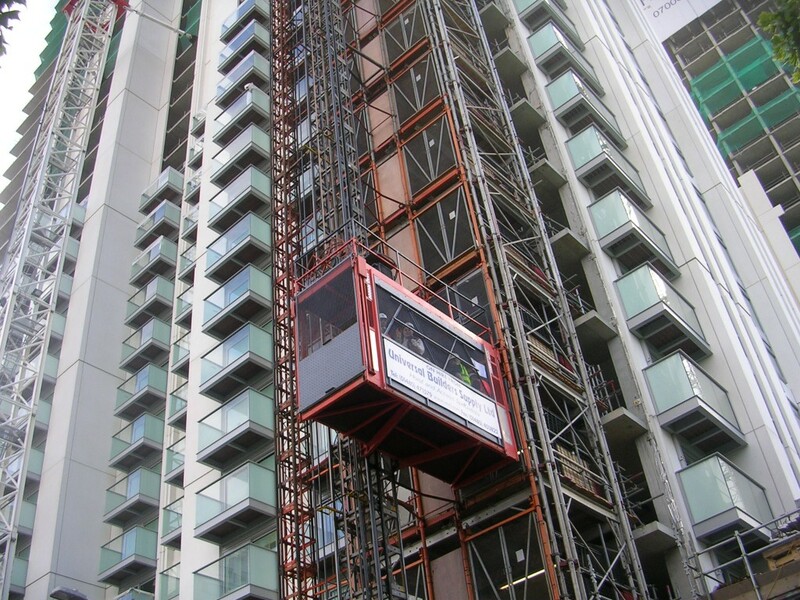 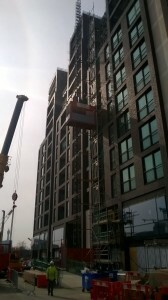 This was the second high rise project that Ballymore needed the high rise hoisting expertise of UBS. 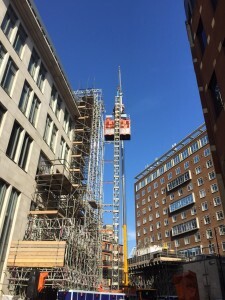 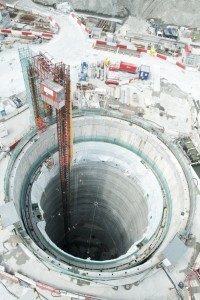 The decision was to use a compact common tower with three high speed hoists attached to it for both towers. 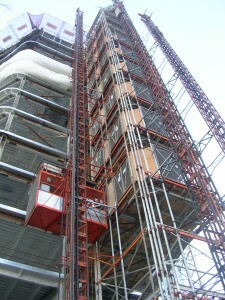 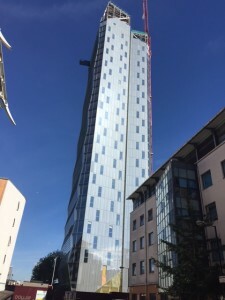 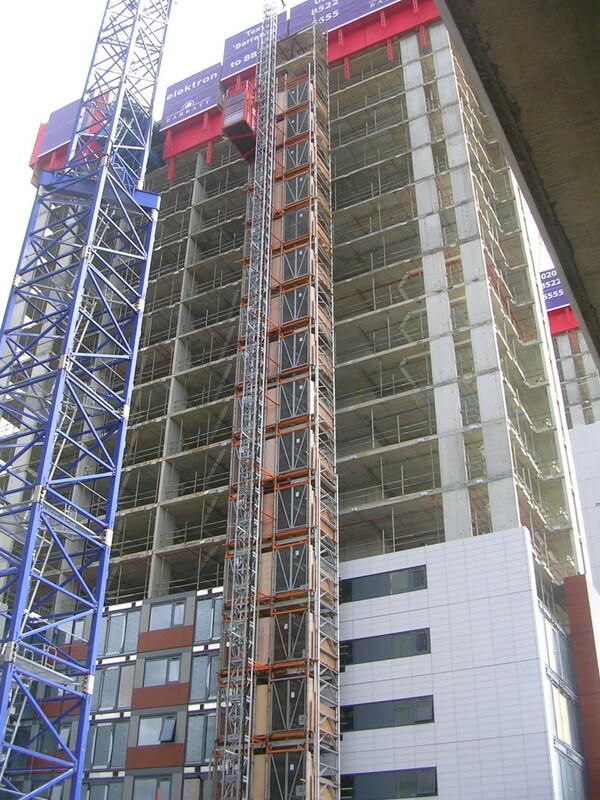 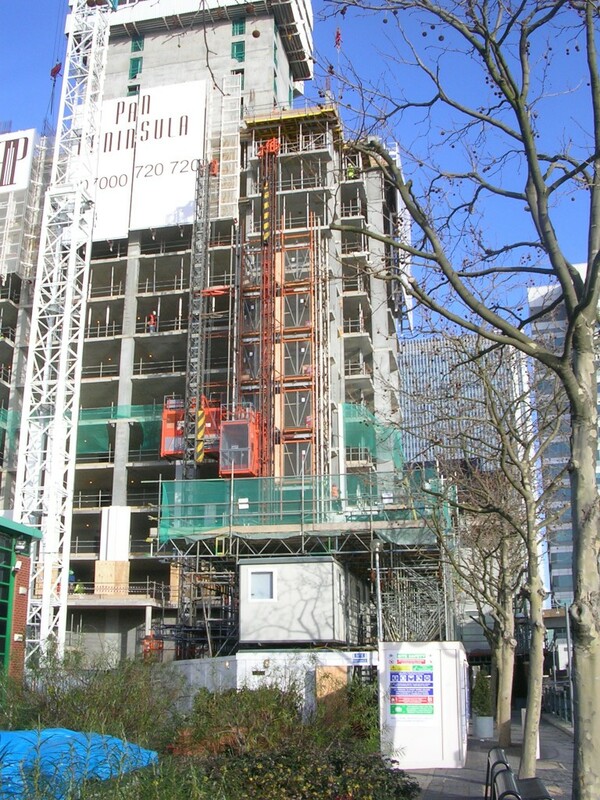 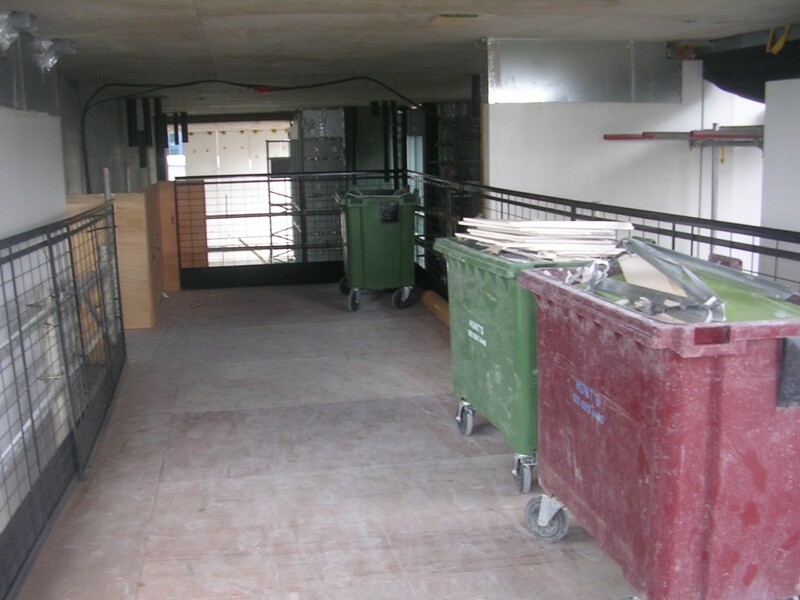 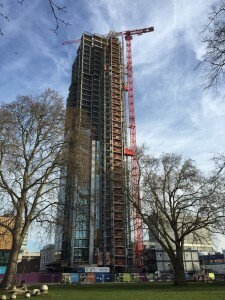 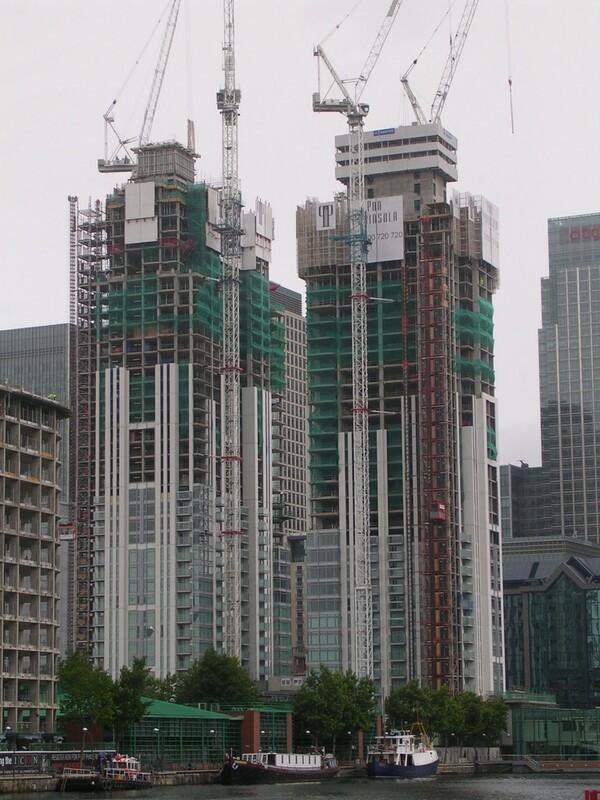 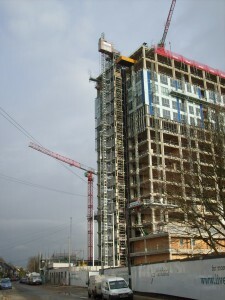 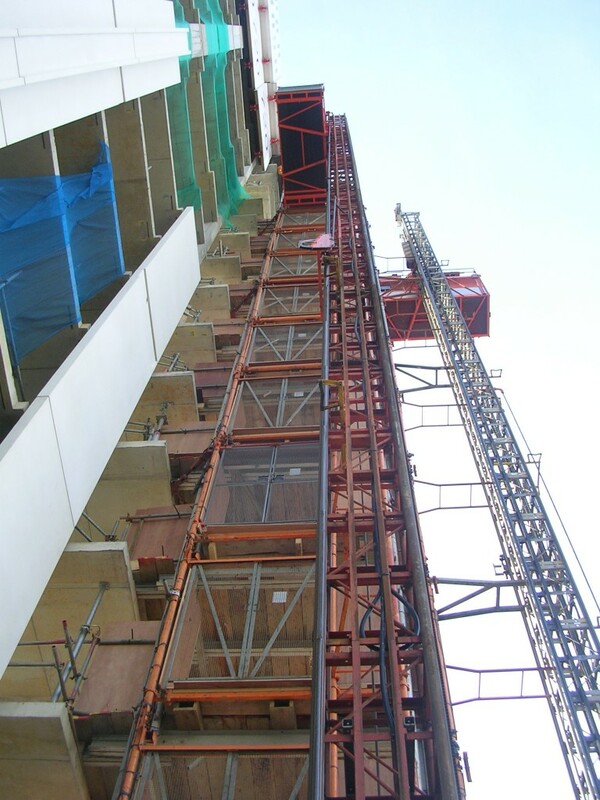 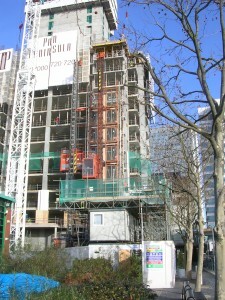 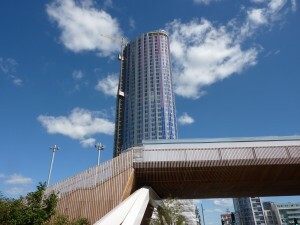 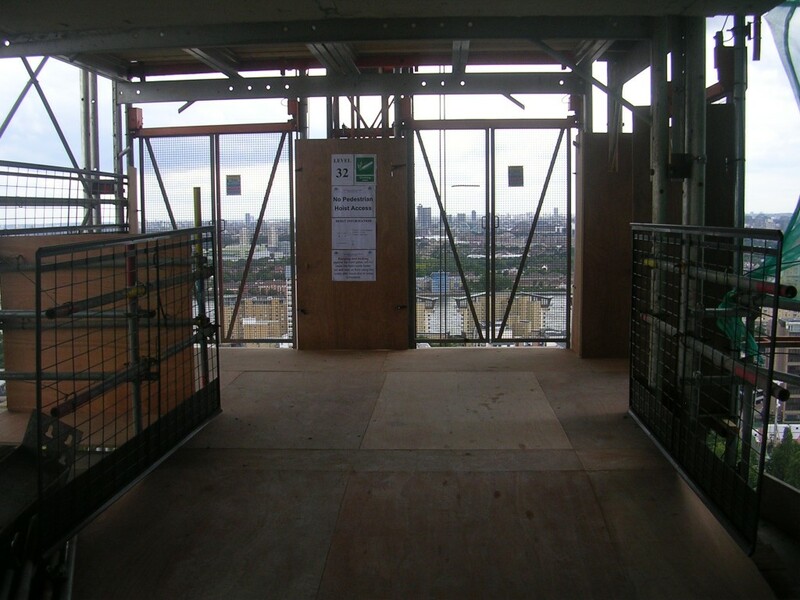 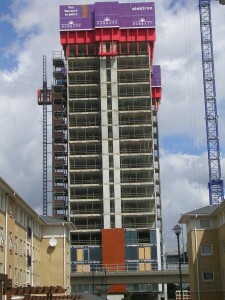 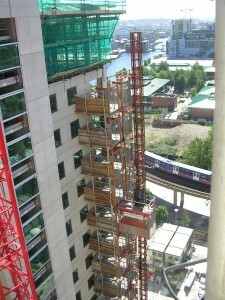 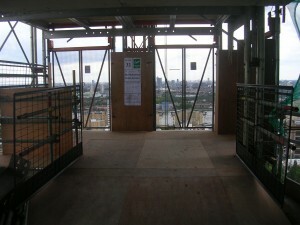 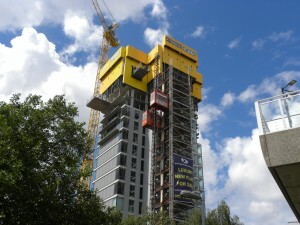 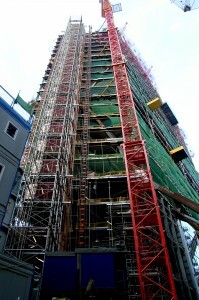 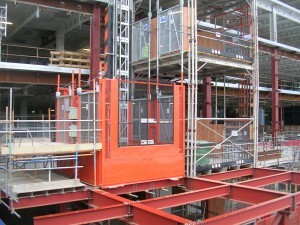 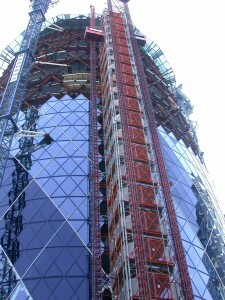 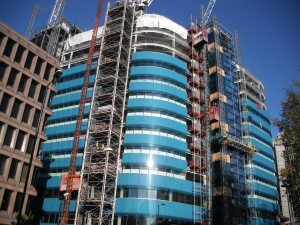 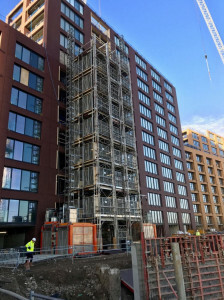 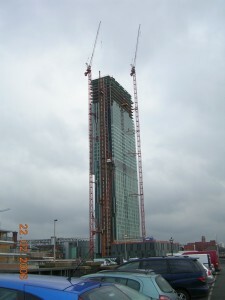 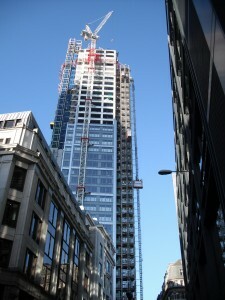 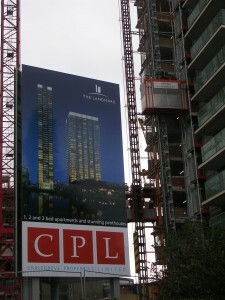 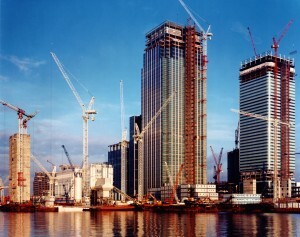 The common towers were designed to allow the minimum amount of cladding left off the building during the construction phase and to allow access to the floors as the building sets back at the upper levels. 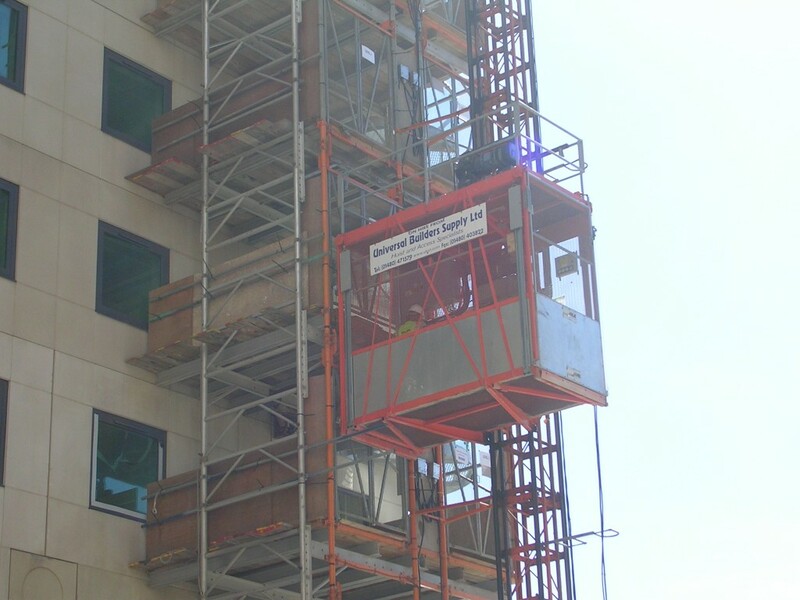 Hoists included for each tower are two 2800kg high speed 90 mtr/min passenger/ material hoists and a single 3200 kg passenger / material hoist.